Modifications proposed for the 2019-20 seasons include: moving the opening day of the firearms deer season to the Saturday following Thanksgiving (rather than on Monday), creating a 13-day season that includes three Saturdays; shortening to two days the late November turkey seasons to accommodate a Saturday firearms deer opener; expanding the mid-October muzzleloader and special firearms deer seasons to include bears statewide; increasing to two weeks the length of the statewide archery bear season and shifting it to the two weeks following the muzzleloader and special firearms bear seasons; expanding four-day extended bear seasons to six days in most wildlife management units (WMUs) where they are held; establishing a September archery season and a January antlerless season for elk hunters; expanding bobcat hunting and trapping seasons to WMU 4B; extending fisher trapping opportunity to WMU 4A; increasing the season limit on beavers from 20 to 40 in WMUs 2A and 2B; and reducing the length of the porcupine season by about 10 weeks statewide. The public may offer comments on all proposed 2019-20 seasons and bag limits, as well as other board actions, between now and the board’s next quarterly meeting, when 2019-20 seasons and bag limits will be finalized, and antlerless license allocations will be determined. The board’s next quarterly meeting is scheduled to be held April 8 and 9 at the Game Commission’s Harrisburg headquarters. 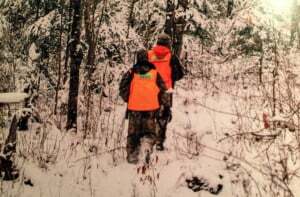 The board also gave preliminary approval to a measure that would simplify requirements to wear fluorescent orange material while hunting. There would be no changes to the requirements that apply in many seasons. And the use of orange will continue to be highly recommended for all seasons, whether required or not. The measure will be brought back to the April meeting for a final vote, and any changes would be put in place for the 2019-20 license year to begin July 1. All other seasons would continue with their existing fluorescent orange requirements. The requirement to post orange while deer, bear or elk hunting from an enclosed blind also would remain. And with Pennsylvania in the stretch run of its first hunting season in which semiautomatic shotguns were permitted for big-game hunting, and semiautomatic rifles have been permitted for hunting small game and furbearers, the board announced it will entertain a proposal to allow semiautomatic rifles for big game in the 2019-20 license year.